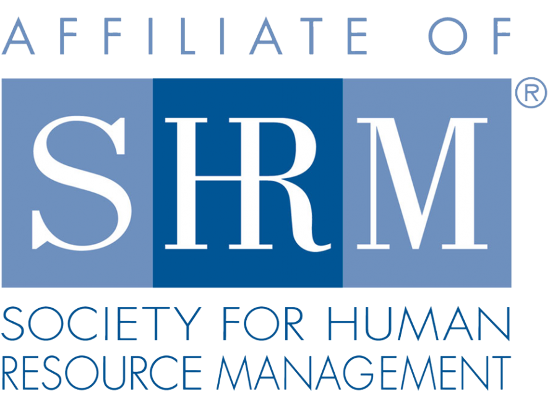 In alignment with our mission "to serve the professional and advance the profession,” Louisville SHRM offers all members the opportunity to grow professionally and network informally with your fellow Chapter members by volunteering for committees or special projects. Our volunteer engagement encompasses both long and short-term time commitments and a variety of assignments. Some volunteers consult informally with other members on issues and problems within their area of expertise as part of our Chapter Member Network, while others write articles for publication, coordinate speaker appearances, and register attendees for meetings and seminars. With over 550 members and growing, the Board is asking for your assistance as volunteers to help sustain the current services and offerings of the LSHRM Chapter. At any time, the Chapter has 40 - 60 volunteers working together to serve the needs of our membership. Volunteering provides an opportunity for networking, interaction and fun! It also gives the volunteer a sense of contribution to the profession and a sense of personal gratification. Volunteering is a great personal and professional development activity, contributing to your career growth and expanding your resume. Looking for an opportunity to get involved with an amazing professional organization? LSHRM is always looking for great volunteers! Volunteer board members gain a wealth of professional development and project management experience; as well as extensive exposure to networking and community engagement opportunities. Volunteer committees provide members an opportunity to lead and participate in activities within the chapter and work closely with other chapter members and leaders. Membership: The Membership Committee assists with maintaining chapter Membership.  The committee plans, implements and coordinates the annual Membership drive(s), provides orientation to new chapter members, serves as Ambassadors for the chapter, and encourages ongoing networking of new and current members. Programs: The Programs Committee assists with developing, planning, and coordinating monthly meetings, workshops, seminars, and any special events that may be held. Hospitality: The Hospitality Committee coordinates activities at the member meeting registration table, greet members/guests as they arrive, and assure that all financial transactions are recorded appropriately and monies are sent to the VP Finance. Member Development and Certification: The Certification Committee encourages members to achieve their SHRM certification through publicizing information related to SHRM certification and promoting activities that will assist members in preparing for the exam. This group also manages the LSHRM sponsored Career Transition and Job Outreach programs designed to assist HR professionals in their job search efforts. Communications and Marketing: The Communications and Marketing Committee assists with planning and implementing chapter public relations and communications including recommendations for the chapter newsletter, website, and other forms of communications. Additionally, this committee includes Legislative responsibilities in developing, planning, and implementing activities that promote the education and participation of chapter members in legislative affairs. The committee monitors local, state and national activities and disseminates information to the membership on legislative issues that may affect the HR profession. Diversity: The Diversity Committee provides technical expertise and program leadership on issues that impact workplace diversity, equal employment opportunity, affirmative action and other related topics to the LSHRM membership. Workforce Readiness: The Workforce Readiness Committee works to inspire the HR professional to be a catalyst and resource in developing connections that result in educational excellence and workforce readiness by working with community organizations and linking LSHRM members to those opportunities. SHRM Foundation and Special Events: This committee educates the Chapter membership regarding the existence, purpose, and ongoing activities of the SHRM Foundation and coordinates the chapter's annual fundraising event. Additional responsibilities include coordinating the HR CONNECT events and promoting the event to chapter members. Community and College Relations: Responsibilities include recommending community service projects to be supported by the chapter and inviting representatives of local community organizations to chapter meetings. Communicates with the media regularly regarding LSHRM activities and notifies the press of meetings and conferences, and the LSHRM Scholarship. Meet with student groups and faculty members to recruit new student members; encourage student chapter members to attend LSHRM meetings and events. Volunteer Engagement: The Volunteer Engagement Committee actively recruits new volunteers and engages current volunteers; interviews potential volunteers to match their interests and talents with the appropriate volunteer engagement opportunity or chapter activity.